Author Bio: Jenna Thompson is a freelance writer and a fitness instructor from Los Angeles, California. With over 10 years of experience training private clients, she has helped many people reach their fitness goals. When she is not busy exercising, she enjoys writing informative articles. Nowadays, athletes train from a very young age to achieve Olympic greatness. Olympic boxers, in particular, tend to be young. For example, the average age of a member of the U.S. Olympic boxing team in 2012 was 25! 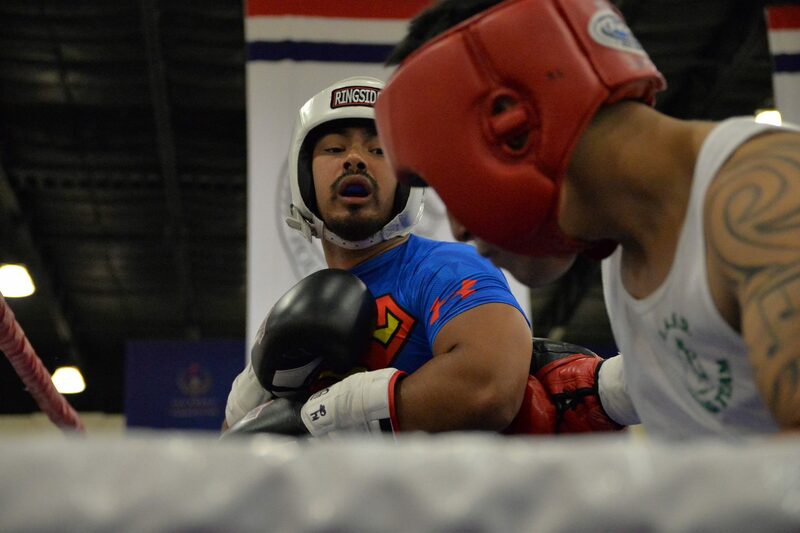 Though you may not be able to earn a spot on the U.S. Olympic boxing team, you can still get all the benefits of training. In fact, boxing fitness exercises are some of the most intense and rewarding workouts available. To get the full training experience, you’re going to want to go to a gym that specializes in boxing training. Read on to discover what boxing in the Olympics is like today. Boxing fitness classes are high energy and intense. They tend to be filled with positive people. It is hard to fake it in one of these classes, so make sure you go in with a great attitude and make sure that you’re looking to be challenged. Be honest with yourself and with your trainer. Boxing is an intense aerobic exercise, so if you prefer yoga and gentle stretching, this might not be the sport for you. However, if you’re interested in expanding your repertoire and working new muscles, this might be just the thing for you. Often people try it once, and they’re hooked. Be sure to check with the gym manager or trainer and see if you can get an assessment of your fitness level. At the very least, ask if the classes are appropriate for your skill level. This is especially important if you’re a beginner. It won’t be any fun, if you can’t keep up—and this high-energy sport should be fun. The same goes if you’re an experienced boxer. Make sure that you won’t be bored by the class. You want classmates and an instructor who will challenge you. Not everyone in a fitness boxing class has the same goal. Some folks may be augmenting their Olympic training. Most people won’t be looking for a career in boxing, but will be looking for a great workout. Make sure you’re clear on what your goals are before you sign up for a class. Discuss those goals with the teacher, and, if necessary, readjust your goals until you and your trainer are in agreement. Note: If you and your instructor can’t come to an agreement, then maybe this isn’t the sport or trainer for you. You need to work with someone who believes in you, but who also gives you realistic goals to achieve. Consider your age and your current physical condition and then decide if you and your trainer can come to an agreement. Supervision: You’ll be able to ask questions and get feedback on your condition and form. Equipment: There’s more to boxing than hitting a punching bag. Your gym should have a range of workout equipment to help you become a well-rounded boxer. Camaraderie: Being around other people may help you reach a higher level. And you might make friends. You certainly will have plenty to talk about once you learn the terminology: heavy bag, speed bag, focus mitts, hand wraps, and much more. Contrary to popular belief, boxing exercises won’t make you look like Dwayne “The Rock” Johnson or Arnold Schwarzenegger in his younger days. Boxing exercises produce a leaner look. You will definitely build muscle and sculpt your body, but you won’t look bulked up. In fact, many supermodels swear by boxing training exercises to keep their bodies fit and lean. Of course, no one can promise you supermodel results, but you should definitely expect a muscle tone-up. Before you commit to a gym, make sure to do some research. You’ll want a place that is convenient and has flexible hours for you. There are all sorts of reviews online, so start there. If you’re interested in a place, check it out! Many gyms will offer a free day pass or a reduced-price introductory session. At the very least, you’ll be able to walk around and see what equipment they have, what the classes look like, and how content the customers appear to be. By visiting in person, you’ll also be able to see if they have the amenities that are important to you, like towels, showers, water, etc. Maybe exercise boxing and training classes will pay off and you’ll be ready for the 2020 Olympics!